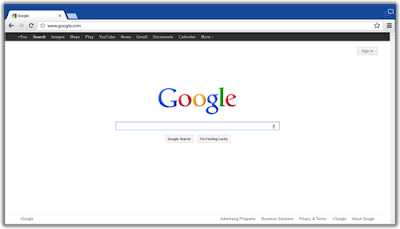 on a Metro-style enabled desktop browser, a version of Chrome that will run in both the Metro and desktop environments of Windows 8 on x86. (Chrome won’t run in WinRT, i.e. Windows 8 on ARM processors, as Microsoft is not allowing browsers other than Internet Explorer on the platform.) If you’re running the Release Preview of Windows 8, you’ll be able to try Chrome in Metro mode in the next Chrome Dev channel release by setting it as your default browser. The initial releases of Chrome in Metro mode will include integration with the basic Windows 8 system functionality, such as charms and snap view. Over the next few months, we’ll be smoothing out the UI on Metro and improving touch support, so please feel free to file bugs. We’re committed to bringing the speed, simplicity, and security of Chrome into Windows 8, and we look forward to working with you on it. Back in March, we began work on a Metro-style enabled desktop browser, a version of Chrome that will run in both the Metro and desktop environments of Windows 8 on x86. (Chrome won’t run in WinRT, i.e. Windows 8 on ARM processors, as Microsoft is not allowing browsers other than Internet Explorer on the platform.) If you’re running the Release Preview of Windows 8, you’ll be able to try Chrome in Metro mode in the next Chrome Dev channel release by setting it as your default browser.